All of the kids have been enjoying following along with Sebastian's journey with Read, Write & Type from Talking Fingers Inc.
Read, Write, & Type is an online program that is based on research. It is a multi-subject program that works on phonics, spelling, punctuation, word processing, and keyboard skills. The target age group is 6-8 year olds with special attention to ESL students or those with learning disabilities. All the kids wold snuggle up and watch as Sebastian played through his daily work at Talking Fingers Inc. 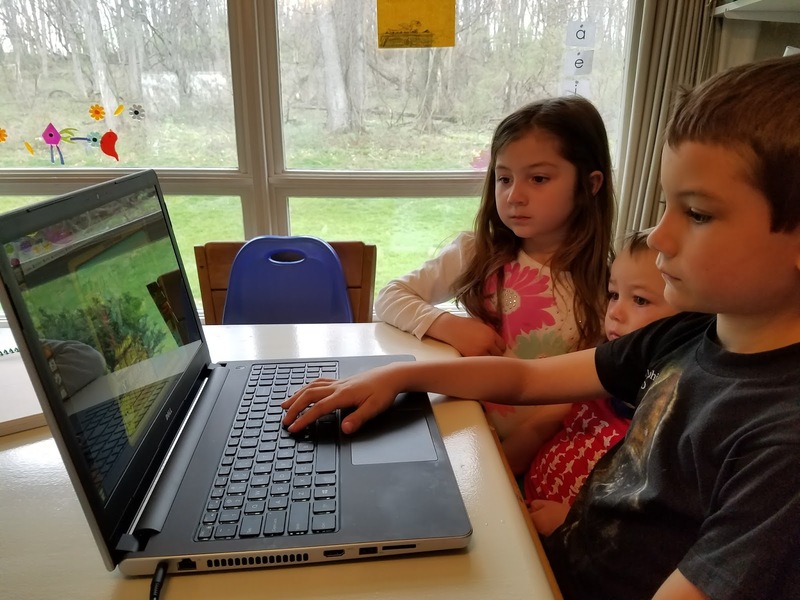 In about 15 minutes a day, Sebastian would be working on phonics and spelling as well as his typing skills with cute little games, fun songs, and cute cartoons. His siblings loved to sit with him and watch him play because they thought it was a game! Top is the main screen Sebastian is working on. 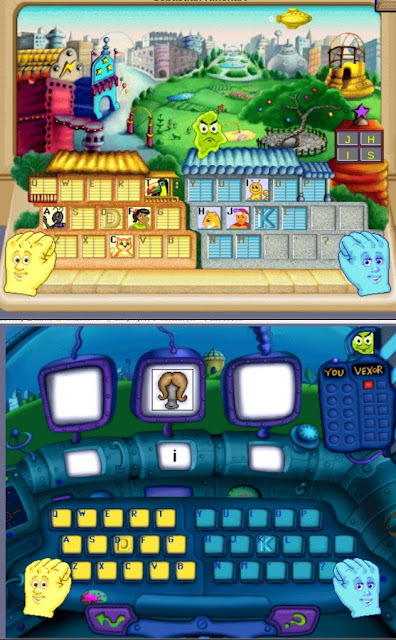 Bottom is one of the games. This game get you to type in either the first, middle, or last sound of a word. Although Sebastian found the games to be INCREDIBLY easy, it was useful for him to work on typing correctly and using his fingers properly on the keyboard. The games were more for a younger crowd, but as he gained letters the games became a little more complicated. Each day he would sign on, learn a letter, play a game, and move through the lessons in a story fashion. The games were all different, but they would all incorporate reading, spelling, keyboarding, and usually a song. He could use this on his own without my interference. No planning on my part. The kids liked to do it together. Review for Kaelyn, even though she wasn't the active participant. The parent area allows you to see the progress through the levels. Sebastian thought it was a little below him. He is on the upper range of who they suggest for this product. Sometimes it was hard to pry the younger kids away from the computer. I think, as soon as a child can start piecing together words, they can start using this program. Instead of Sebastian, I would like to have Kaelyn use this program because it would be a great review for her reading skills, introduce her to spelling and keyboarding skills, and give her many opportunities to fine tune her language arts skills while being a fun outlet for her to use after her school work is complete. I can also see the benefits of this program if you child has learning disabilities. The built-in review and gentle leveling make it appropriate for students with an ESL as well. Read, Write & Type is an online subscription. You can buy licenses for each user you want to have access to the program. Each license lasts for five years!